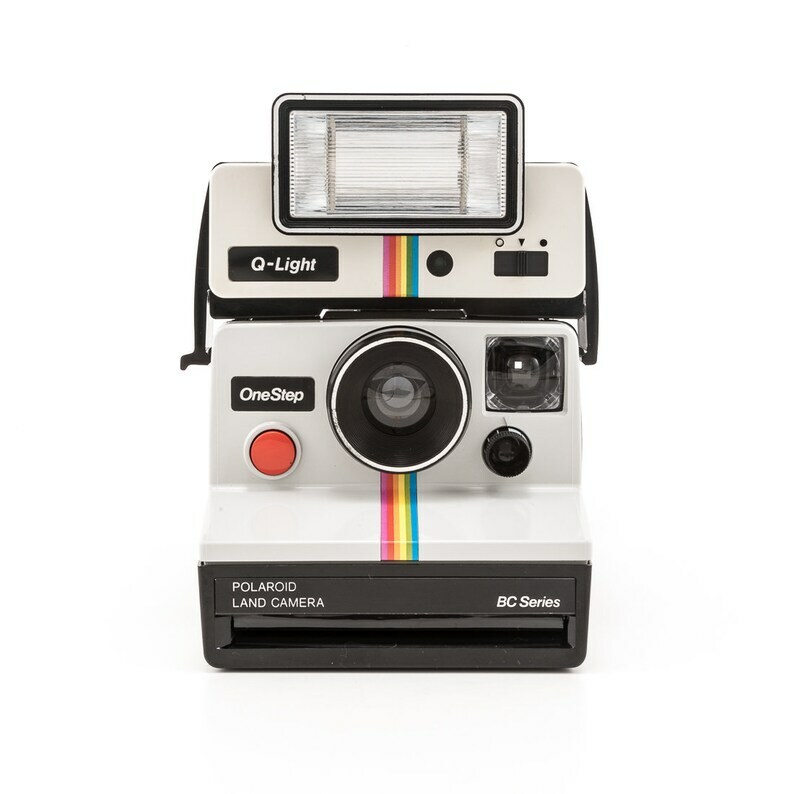 This is the famous Polaroid OneStep Classic white with rainbow stripe camera with a Q-Light. This camera was known as the Polaroid 1000 camera in the UK. - 4ft minimum focus distance. This Polaroid is in great working condition and in good cosmetic condition with some scratches and scuffs on the bottom and sides of the black plastic body (becoming more normal). The lens is scratch free. The output unit runs well and the pressure rollers are both geared and will not jam. The original neck strap is well attached and everything opens and closes easily. The white on the front faceplate is a little faded and is more of an off-white color. Please see photos for more information on cameras condition.